Natural way to soothe sore muscles! This oil is the perfect application for more diffuse injuries such as torn hamstrings, back pain, or sciatica soreness. Arnica Therapy Massage Oil is ready-to-go at a strength at least 5 times stronger than the industry standard. No need to dilute for injury work, just apply! This convenient ready-to-use oil makes an effective get well treatment for clients with chronic injuries. Pure Pro Arnica Massage Oil is nut-oil free and gentle for use on sensitive skin. 100% natural. Buy a 4 Pack & SAVE! Great for Injury and Chronic Pain Management, Myofascial, Trigger Point, Neuromuscular Therapy, Deep Tissue, and Sports massage. Ideal for treatment of fibromyalgia, diffuse injuries, strains, sprains, and bruising. Apply sparingly to the injury site and massage it into the tissue. You can then continue to work over the area with any other oil or lotion. Use 2-3 times a day as needed. 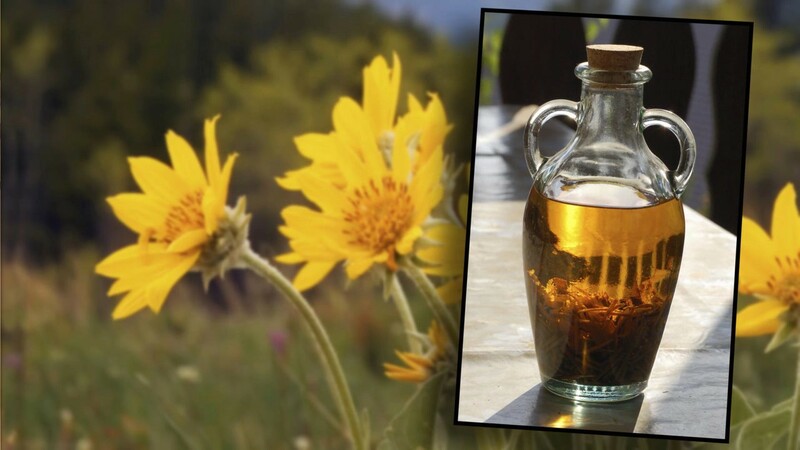 This oil can be used undiluted to treat acute injuries and disperse bruises. For generalized soreness, chronic pain, and fibromyalgia, dilute into another oil or lotion and then massage in well. Pure Pro Arnica Therapeutic Massage Oil is nut-oil free and gentle enough for use on sensitive skin. This product is concentrated. Use sparingly. Do not apply more than 3 times in a 24 hour period. Add value to the healing treatments you give your clients by reselling this healing oil to promote self care between visits. Grapeseed Oil, Pure Pro's Hand-Infused Arnica Extract, Essential Oils of Clary Sage and Certified Organic Rosemary, Natural Vitamin E.
I’m battling very painful Arthritis at my left hip & pelvic joint....and at my lower spine. Rubbing several drops of Arnica Oil at those locations greatly reduces pain. I also take oral medication but it does not offer enough pain relief.....But using combination of Arnica and oral medication together allows me to be nearly pain-free. This oil smells very strongly of rosemary & sage, which is great if you like those aromas, but can be off-putting if you don't. (Think of how your home smells when you roast a chicken, and consider if that's how you want the body to smell during your massage.) I mention this because responses to smells are very personal, and this scent could be a big bonus of this oil (for both client & therapist) or a huge drawback, depending on your tastes. (I personally tend not to like such dominating aromas in my oils--one reason I shy from Aveeda's otherwise excellent Arnica oil. I was hoping the Pure Pro oil would be less overpowering.) The drag on PurePro's oil is nice and light, non-greasy, which I appreciate. The ingredients are high-quality, and limited. The bottle is great for preserving the contents well. I hope that Pure Pro will consider adding an unscented version to this line, or perhaps adding a second scent profile with different herbals that would pair well with Arnica's anti-inflammatory properties (perhaps mint, eucaluptus or other herbals known to promote breath & circulation). In my licensed Therapeutic Massage business, I encounter a lot of aches and pains. This oil is brilliant to use, great results, and nice glide. Used with hot stones it is amazing. Even effective for TMJ. I now buy the 4 pack. As well as being a LMT, I am also a landlady, and when I need to give my apartment a good scrubbing after a tenant moves out, my carpal tunnel syndrome really flares up. This lotion is my go to pain relief. Works every time. Does wonders for my clients chronic pain as well. Click the button below to add the Arnica Therapy Massage Oil™ to your wish list.